"Is it possible to die of boredom?" It's one of the earliest lines in Darksiders III, and for a while there at the start I thought I might find out the answer. There's no getting around it: The early hours of Darksiders III are slooow, a massive misstep from a series that opened in 2010 by calling down the capital-A Apocalypse and turning Earth to ruins. But stick with it. 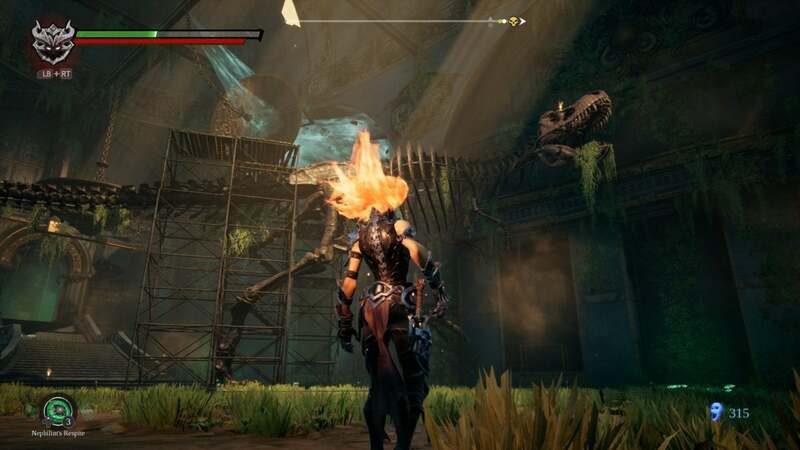 While Darksiders III never quite finds its footing, its knack for level design and neat abilities might win you over by the end—even if both are a bit too obviously constrained by the small scope of this adventure. It's been six long years since the release of Darksiders II, and part of me is happy to see a sequel at all. When THQ collapsed it seemed that might bring about a premature end to the promising series—and for a long time it did, Vigil's pulpy universe of angels and demons left eternally at war, various conspiracies and cliffhangers forever unresolved. Darksiders III picks the story right back up as if the ensuing years never existed though. And more than just the story—it picks Vigil's plans right back up where they left off as well, for better or worse. Mostly worse. See, Darksiders III makes the timeline even more convoluted than before. For the uninitiated: The original Darksiders starred War, one of the Four Horsemen of the Apocalypse. After playing his part in the calamity, stomping through Earth and wrecking everything, he found out he'd made a mistake—the Apocalypse wasn't supposed to happen, and he'd been set up. He spent most of the game figuring out who betrayed him and why, and it ended on one of the all-time best cliffhangers as War looked up into the sky to see his fellow Horsemen plummeting towards Earth to assist him against a universe-ending threat. Vigil had a vision though. The plan was to make four Darksiders games, each starring one of the Four Horsemen. And the cliffhanger? That would be the jumping off point for an eventual fifth game in the series, one that would unite all the disparate story threads. It was spectacularly ambitious, especially for a series that was being termed a "Cult Classic" even by fans of its first Zelda-esque entry. But the plan proceeded, and the events of Darksiders II started prior to the original, with Death trying to find and free his brother. It didn't feel like as necessary a story, but the plan still made sense when we thought there'd be a new Darksiders every two years. Instead the series almost died. And six years passed. You'd think a near-death experience might kick Gunfire into gear, like a beloved-but-flailing TV show given one more season to wrap it up. (Rest in peace, Halt and Catch Fire.) 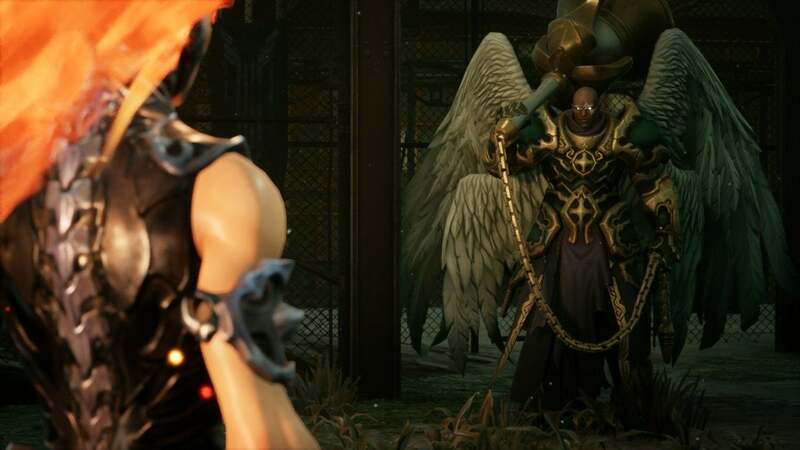 But no, Darksiders III sticks to the plan. This time we play as Fury, the youngest Horse(wo)man of the Apocalypse, on a quest to imprison the Seven Deadly Sins. It's not a bad story, by any means. Pulpy as ever, but the designs of the Seven Sins are a true highpoint for the series. There are also some excellent throwbacks to War and Death's adventures, plus a few teases of what's to come in a hypothetical Darksiders IV with Strife. But "hypothetical" is the problem. Darksiders III doesn't really advance what we know. The Apocalypse happens, Fury finds out she's been set up just like her brothers before her, and so on. It's the worst sort of prequel, giving additional context where none was asked for or needed, and meanwhile I have to hope THQ funds two more of these games before we ever see any semblance of a conclusion. It doesn't help that Fury is the least likable of the Horsemen by far. Death was too edgy for my tastes, but at least he and War had some depth to their characters. Fury's mad all the time, and that's it. Appropriate? Sure. But with no real progression, hinging this story on her makes an already weak tale feel even less substantial. Part of me admires Darksiders. Again, it's spectacularly ambitious. Here's this cult classic, this series that should've died and somehow miraculously was brought back. The smart move is to play it safe—but no. Darksiders tries to reinvent itself with every new game. The original took cues from Zelda, leading War through a series of puzzle-filled dungeons with plenty of combat along the way. 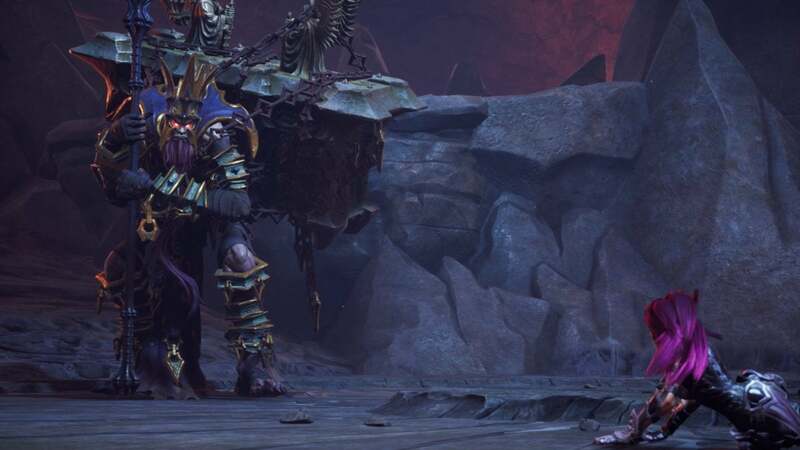 Darksiders II went open-world, replacing Zelda with a Diablo-style loot grind. 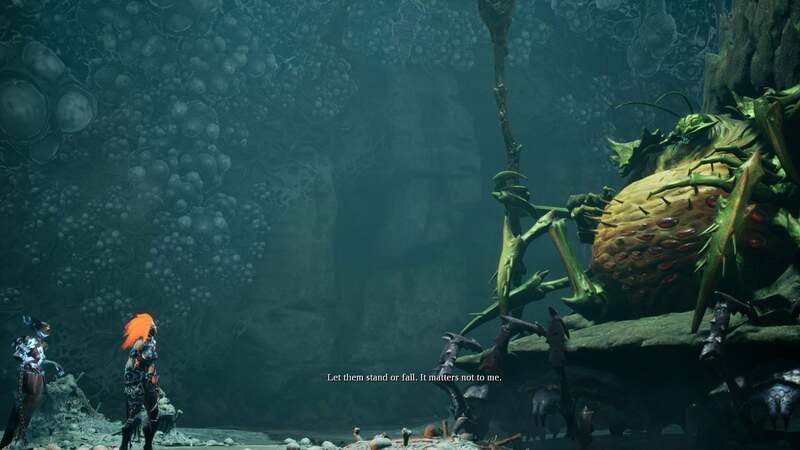 In the lead-up to Darksiders III, Gunfire continuously cited Metroid as an inspiration. It makes sense. You do unlock new powers over the course of the game, allowing you to hover, triple-jump, attach to magnetic walls, walk through flames, freeze water, and so on. It's only half the formula, though. The more prominent inspiration is Dark Souls. Maybe the team was afraid to say that because "It's like Dark Souls" is so played out now, but it's true. You collect Souls from your enemies to level up. Dying makes you spawn back at the nearest safe-spot, there to try and return to the point of your death and regain your Souls. 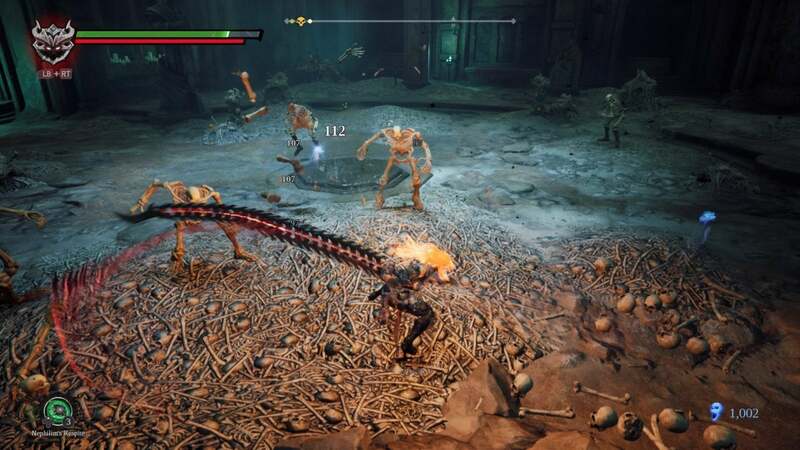 Combat in Darksiders III is faster-paced, but you're fragile and have to rely on dodging a lot, especially against the Seven Deadly Sins with their creative boss designs. My favorite of the latter is Sloth, a massive bug who sits on a throne carried by smaller bugs. The two inspirations meet in the environment. 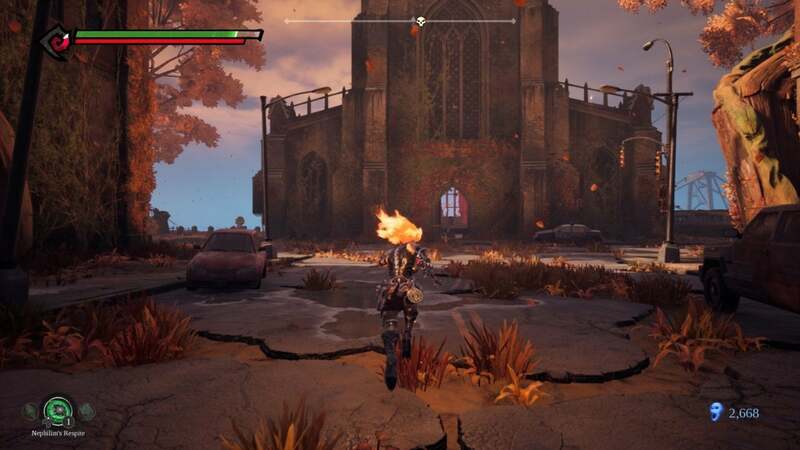 Darksiders III combines the traversal powers of its predecessors with the intertwined level design of a Metroid or more recently a Dark Souls. You know that feeling when you open an unassuming door or trigger an elevator in Dark Souls and you're like "Oh wow, I'm back here?" Darksiders III loves that feeling. You're constantly making your way through lengthy dungeon-crawl sections, popping out the other side, and somehow realizing you're back where you were two hours ago—only now there's a shortcut. It's really impressive. It feels like what the original Darksiders would've done, had it not been constrained by technology at the time. The problem? It takes until late in the game, once you've unlocked all the traversal powers, to start taking advantage of this design in smart ways—using your "Force" form to rotate a tower, then freezing it in place to line up a jump to the next platform, then triple-jumping up to the next, and so on. Then an hour later the game's over. Clocking in at 12 to 15 hours, I have to imagine Darksiders III was constrained by its budget. There's an entire piece of the story missing, a major choice about two-thirds through that never resolves. If nothing else, that absence indicates to me some sizable cuts were made, maybe from the latter half. Regardless, the result is one of the few times lately where I've felt an experience is too short. Most games these days drag on and on and on. Darksiders III, it honestly feels like it finally starts to find its groove and then the credits roll. You get the barest hint of how genius these traversal options are and an idea how fiendish the puzzles could be when all four work together. But just the barest hint. It's unsatisfying. As with the story, I struggle to say it's bad. What you're left with though is a Darksiders game that's mostly focused on combat, despite its protagonist being the least fit for fighting out of the three we've seen. Puzzle solving is a secondary concern at best, and those few that exist are rarely part of the main story path. You have to go looking for collectibles, most of which just provide more Souls for leveling, if you want to really take advantage of Fury's powers. And seeing as those extremely optional collectibles are the only reason to double back and explore old areas? This incredible feat of level design is mostly underutilized as well. It's neat, but only if you force yourself to play by its rules instead of fast-traveling to the few hubs worth revisiting. It's also worth mentioning that PC performance is rickety at release. Frame rate is solid most of the time, but texture pop-in and stuttering are extremely prevalent in the larger areas which can make precision combat more frustrating than it needs to be. The mouse-and-keyboard controls are also a mess, both the mappings and the actual on-screen button indicators, the latter of which are stretched and ugly looking like someone never replaced the placeholder art. Definitely play with a controller, if you're going to play—and even then, prepare to fight the camera during combat. It's a constant nemesis. "Disappointed" is the right word, I think. Again, Darksiders III isn't bad per se. It simply feels unnecessary. I don't mind that the game is structured like an adventure from the Xbox 360 era, nor its short length, nor its hammy characters. Those are all true of the original Darksiders, and I love that game dearly. But Fury never reaches her full potential, either as a character in the story or a character you control. Her arc adds nothing, and her mechanics needed another two or three hours of end-game challenge to really wrap it up. 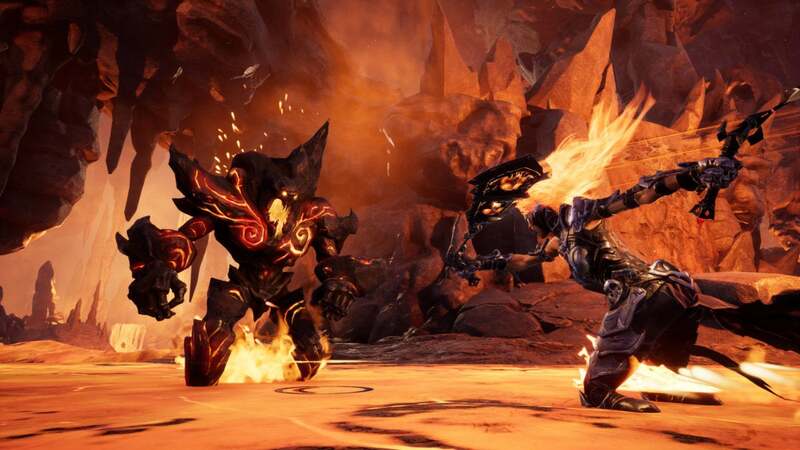 I hope it does well enough to merit a sequel, but this isn't the triumphant return Darksiders needed—neither to cater to the old fans, nor win over people who missed the series last time. If there is a Darksiders IV, maybe it's time to revisit the old roadmap and tweak it. I can't imagine another prequel faring any better, and I say that as a longtime proselytizer of the series. This story, "Darksiders III review: A slightly disappointing sequel that hopefully merits another" was originally published by PCWorld. Darksiders III isn't bad per se, but its constrained scope and inessential story don't live up to six year's worth of expectations.